A year ago we were told that, without the vast Stimulus package, unemployment might rise to the (gasp) unacceptable height of 8%. 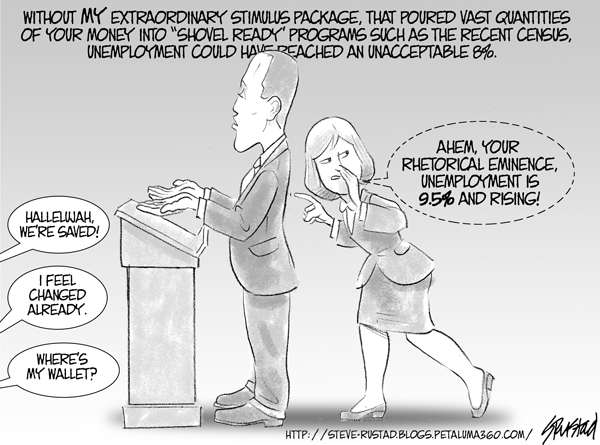 Well the package stimulated…unemployment, which is now at 9.5%. When it comes to the current administration’s policies, doing nothing is actually preferable.